Did you know that almost one-third of your entire life is spent sleeping? Unfortunately though, one in every five adults don’t get an adequate amount of sleep. Sleep deprivation or lack of sleep is something a lot of us face, and this can be detrimental to our health, performance at work, and your relationships as well. Good sleep equals less stress and a healthier heart, while people suffering from insomnia are at the receiving end of a number of health disorders. Why aren’t you getting enough sleep? If you’re in the habit of using your phone at night, then this could be a possible reason why you aren’t getting enough sleep. Your phone emits blue light, which makes your brain assume that it should be awake. When this happens, the amount of melatonin (your sleep hormone) that is produced is lowered. All in all, your circadian rhythm will be disrupted, causing you to lose sleep. Having your dinner too late can cause a lack of sleep as well. When you eat your dinner too late, you tend to have digestion issues, which in turn can have an adverse impact on your sleep cycle. Change your mattress. An old and worn out mattress that has lumps and probably even dust mites isn’t where you should be sleeping. Old mattresses can make your restless, give you an allergy or even a sore back. Your pillows need to be replaced often as well. Not exercising often and leading a lazy life can make you have trouble sleeping. You tend to have too much energy, and this leads to sleep deprivation. Incorporate a healthy exercise regimen into your daily life to burn all the excess energy. Loading up on too much coffee? You need to stop because caffeine and sleep don’t get along. Caffeine is a stimulant, and while it can help you jumpstart your mornings, it can ruin your night’s sleep. So make sure you limit your caffeine intake to a cup or two a day and not more. Also, avoid drinking coffee at night. Like coffee, alcohol and cigarettes can mess your sleep as well. Alcohol can make sleep easy because it is a sedative, but this can backfire in the long run as if you do it habitually, your body will fail to fall asleep when you don’t consume any alcohol. Cigarettes, on the other hand, are a stimulant like coffee. The nicotine can cause insomnia and keep you awake for a longer time at night. Other causal factors of sleep deprivation include anxiety, too much noise in the environment, taking short naps during the day and more. People who suffer from insomnia or sleep deprivation mostly turn to medication. Unfortunately, most of these medications come with a truckload of side effects, and over a point, your body gets accustomed to these drugs, and falling asleep gets harder. So what exactly is the solution? Here’s a list of some of the best natural sleep remedies, this implies that you don’t have to worry about side effects. Make sure you don’t compromise on the hours of sleep you get. You require a good six to eight hours of sleep, and anything less than this is not good for you. Keep your phone aside. The blue light from your phone can mess your body’s circadian rhythm, and ruin your sleep cycle. Keep all your gadgets away from you, the light from them can trick your brain into thinking it isn’t your bedtime yet. Exercise. It is great for your sleep, and while at it, you’ll become fitter as well. When you exercise, you burn up all excess energy. This can help you fall asleep better. Drinking milk before going to bed for good sleep is an old wives’ tale, but the fact is that this remedy works. Milk has calcium, and the brain requires calcium to generate melatonin. Drink a glass of warm milk before you sleep, and you will see the difference. 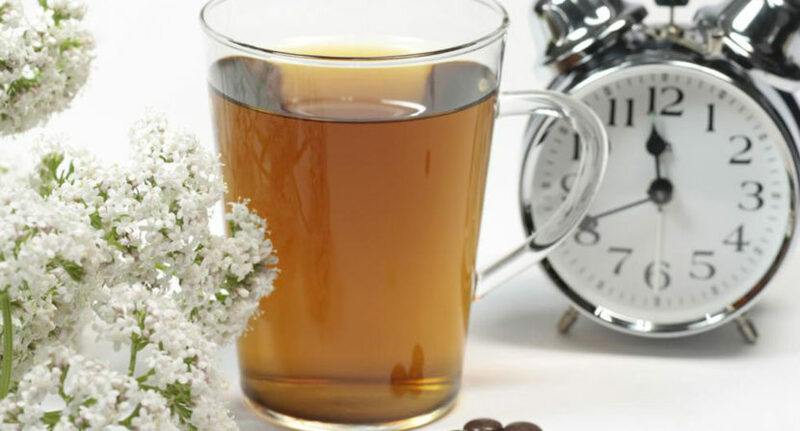 Valerian root makes for one of the best natural sleep remedies. Dating back to ancient times, this medicinal herb was used to help sedate people as well as induce sleep. It has a calming effect. Make yourself a cup of tea with this root, or you can buy it in capsule form as well. Chamomile tea is another excellent remedy for lack of sleep. It has an antispasmodic effect and can help relax your muscles and de-stress you. Chamomile tea can help soothe your nerves, so it makes for a great drink at the end of the day. Apart from the above remedies, make sure you have a set sleep routine. If you plan on sleeping at ten every night, stick to that. Wear comfortable clothes while you sleep, and always remember that your bedroom isn’t your living room or kitchen, so don’t eat or watch television or eat in your bedroom. You could try a bit of yoga, as this can work wonders not just for better sleep, but for your overall health.